On your trek you will stay overnight in a guest house, a Berber home, mountain refuge or, particularly in the summer, under canvas. 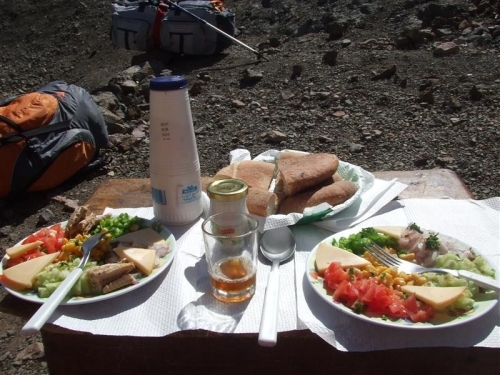 Most treks offer a choice or a mixture of accommodation. So if you prefer not to camp, you do not have to! 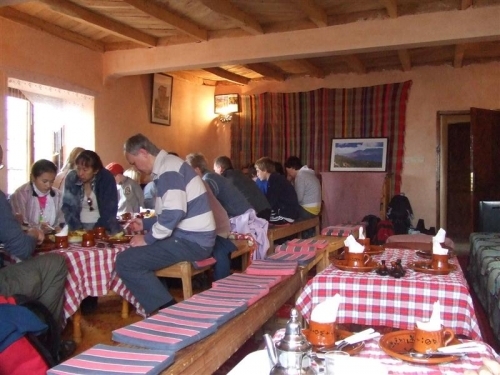 Accommodation on our treks varies depending on the time of year and the route taken. For many treks in the summer months some camping is normal and gives the opportunity to “get away from it all” The camp sites are usually by a river or lake with the possibility of a swim in the cool waters and are often near summer pastures where you can see local Berber villagers working their fields and tending their animals. It is pleasant to arrive at the camp site after a day’s walking to find the tents erected and mint tea brewing and later to enjoy a freshly cooked traditional Moroccan meal as the sun sets. Everything is provided – all you need to bring is a sleeping bag! In early and late season in particular accommodation is in Berber homes and guest houses located in the small villages through which most treks pass. Most of our treks offer at least one night in a guest house, even in summer, to enable walkers to experience a little of the Berber customs and way of life. 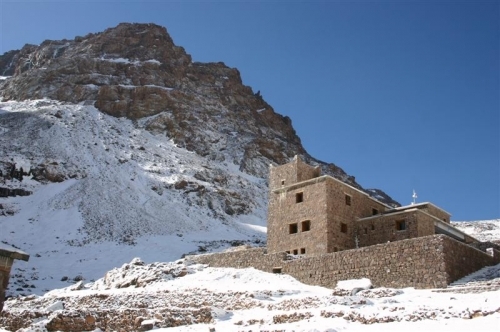 Sometimes accommodation is in a mountain refuge, particularly for those treks which include the ascent of Toubkal, when we either stay in the refuge 1000m below the summit or camp outside when it is warm enough. Whatever the accommodation traditional Moroccan meals such as tajine and couscous are cooked on the spot and there is plenty of time to enjoy a mint tea and chat to your guide.